Revolutionary centered mellow voice-More overtones-and the coherent slotting like are old city trumpets. Big Mass Shank & Extra Sheet Brass thickens the sound and adds more substance in the upper register. Our modern Schiller Valve Block now reintroduced to a cornet. 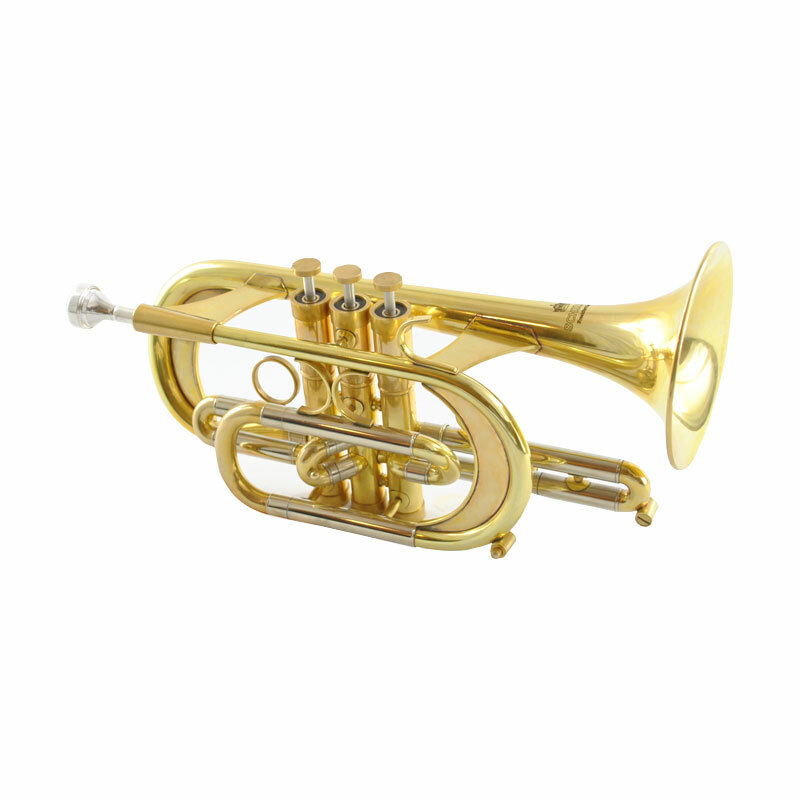 Dual Right Thumb Ring for a balanced holding of the Trumpet.